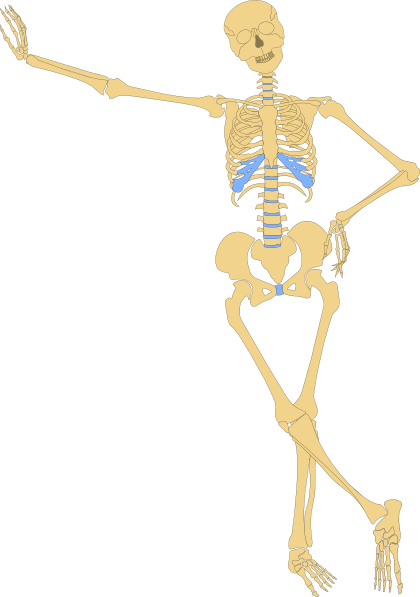 Until recently, scientists believed bone marrow had mostly a negative effect on health, but mounting evidence supports the idea that the fat tissue inside our bones – known as bone marrow adipose tissue – may be part of the body’s endocrine system. In the journal Cell Metabolism, researchers from the University of Michigan explain how bone marrow adipose tissue is a significant source of the hormone adiponectin, which helps to break down fat and maintain sensitivity to insulin. The hormone has also been linked to reduced risk of various obesity-related diseases, including certain cancers, cardiovascular disease and type 2 diabetes. Previous studies of bone marrow adipose tissue have primarily linked it to negative health consequences such as reduced bone mass, and raised risk of fractures and osteoporosis. But in this study, where they looked at the role of bone marrow adipose tissue in patients having chemotherapy, or who have anorexia, the researchers found that under conditions where calories are restricted, the fat tissue may also do some good. Senior author Ormond MacDougald, professor of internal medicine at U-M, says the findings are important because it appears bone marrow adipose tissue “may have positive, protective roles, and influence adaptive functions outside of the bone tissue, at least during calorie restriction. Researchers already knew that adiponectin is secreted by white adipose tissue – the common body fat most of us complain about – and plays a key role in helping preserve sensitivity to insulin. High levels of the hormone have been liked to lower risk of diabetes and cardiovascular disease. However, what is somewhat paradoxical is that as people lose body fat, so their levels of adiponectin go up and not down as one might expect. Obese people have the lowest levels of adiponectin, which adds to their risk of developing diseases. The paradox has been teasing scientists for some time. But the team on this latest study suggests the answer has been eluding researchers because they have been limiting their investigations to the white adipose tissue, believing this to be the only source of adiponectin. The new study solves the paradox by showing bone marrow adipose tissue – which increases as a person loses weight – is a previously unrecognized source of adiponectin during calorie restriction. Reduced caloric intake is the only diet that has been shown to increase longevity. It is not an abnormal state of being. Excessive caloric intake creates the disease state that most Americans suffer. Bone is a repository for many nutrients. The calcium in bone does help to make it strong, but more importantly the calcium goes in and out of bone, acting to buffer the pH of the blood. Now we know that adiponectin does the same thing. Most hormones are fats – a cholesterol base with a few additions. Thyroid hormone is cholesterol and four molecules of iodine. Fat has gotten a bad name but fat is essential both in the diet and the body. Endocrine function is closely associated with fat metabolism. Fat producing tissues, like bone marrow are considered endocrine organs. The five pounds that a women gains about the abdomen during menopause supplements lost hormone production. It is the excessive fat accumulation in obesity that contributes to the hormonal imbalances associated with menopause. This is the second blog I have posted on bone metabolism. Please review Much of Bone is Shock-Absorbing ‘Goo’ that Stops it from Shattering, posted on March 25, 2014. We need to change our approach to support normal bone metabolism rather than focus on drugs that inhibit normal bone chemistry and cell production. The more we learn about how the body functions, the greater the support for natural forms of support for normal physiology rather than trying to force biochemical changes. That may reduce symptoms but ultimately it manifests in significant side effects.